1976 Neil Bonnett #12 Armor All / Chevy Laguna NASCAR diecast, by Action. 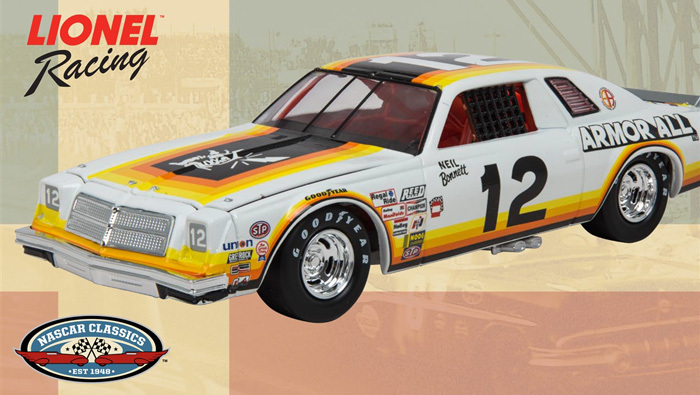 This #12 Armor All Chevy Laguna was raced by Neil Bonnett in the first 4 races of the 1976 NASCAR Winston Cup season. This diecast car is part of the NASCAR Classics line by Lionel NASCAR Collectables. * All metal diecast body and chassis.